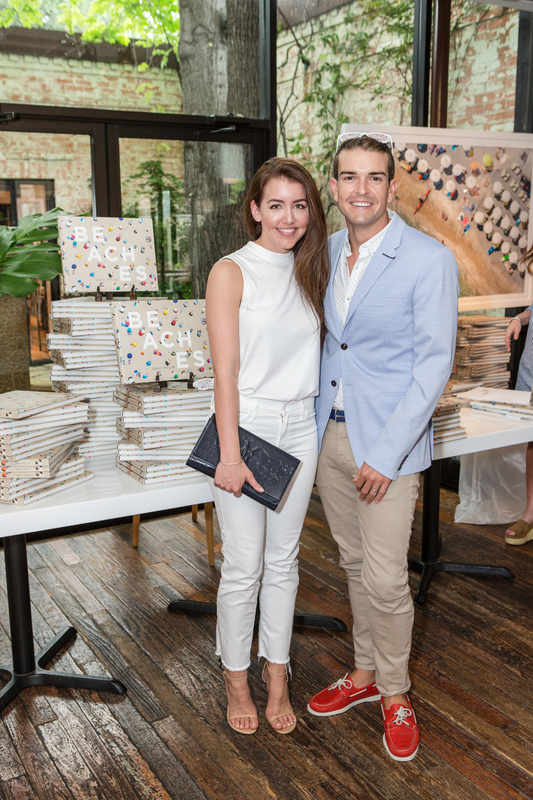 During my book signing at FortyFiveTen in Dallas, I had the pleasure of seeing my friend Amy of Dallas Wardrobe, who's been a long time supporter of my work as well as one of the early editions of Home Decor stories on the blog. While catching up, I had a chance to tell Amy about some of the new work I had coming up, and much to my delight, she was immediately excited about seeing Bora Bora. 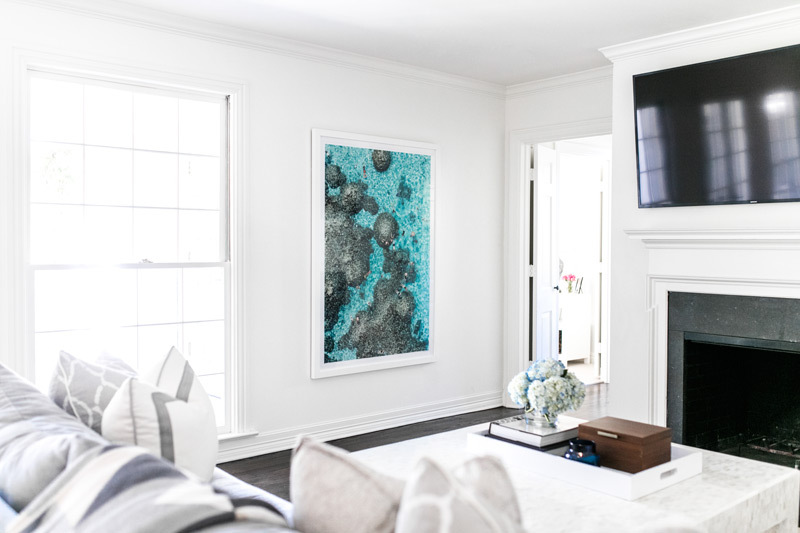 A couple weeks and a few back and forth emails later, Amy was on her way to receiving two brand new Bora Bora framed prints for her home, and I could not be HAPPIER with the way they look in her home. Before we launch into the tour, though for those of you who may not know Amy, yet please allow her to introduce..
"Hi everyone, I live in Highland Park, Texas and I am the blogger behind Dallas Wardrobe. I love spending time with my sweet husband Wade, working out (spin and heated yoga) and playing with our puppies Banks and Harry. I love to travel, drinking champagne out of flutes give me anxiety (wineglasses only), I live for blue and white, sunshine makes me happy, my nails are always red and Blue Moon is my favorite beer." Amy with The Reef, Bora Bora (Vertical) in Large with White Frame in her Living Room. "When it comes to decorating our home I have always said that less is more. When we moved into our home last fall I knew that I wanted as much white as possible with pops of color (blue of course) coming from accessories and art. If I were to describe our home I would say it was very ‘transitional’ because we love to mix a lot of old and new." 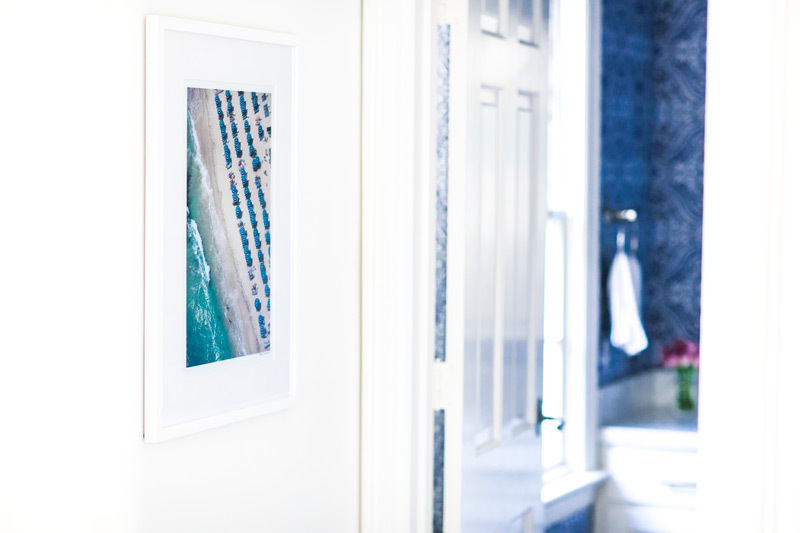 Knowing Amy's love of blue, I knew she'd appreciate the new Bora Bora images, but I was particularly interested in what made her choose these two..
"The majority of our home is very neutral so when it came to choosing art for the walls, we really wanted a conversation piece, something with lots of color, and a piece that you can get lost in. 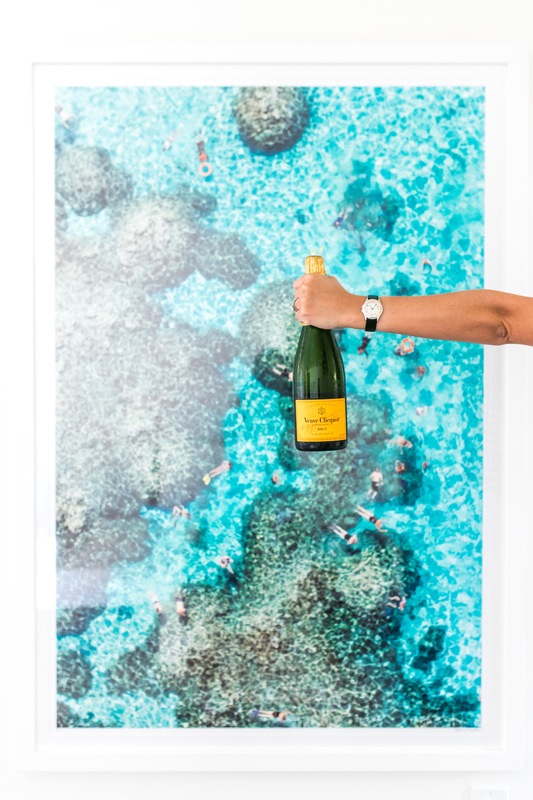 Gray’s new Bora Bora collection fit all of our walls needs. They are the perfect calming pieces that when you stare at them you actually feel like you are somewhere else…which sometimes that is exactly what you need." 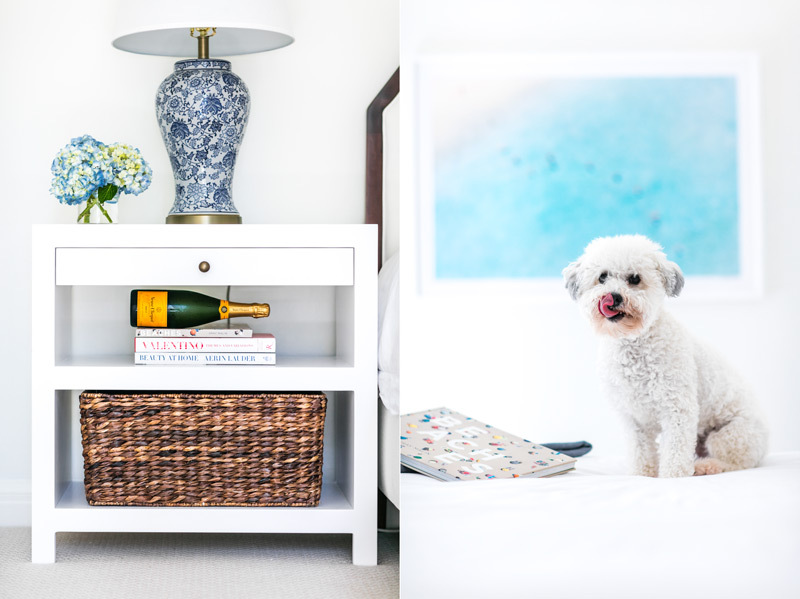 Amy's pup, Harry, making a cameo with the Matira Beach Swimmer in Medium, framed in White. 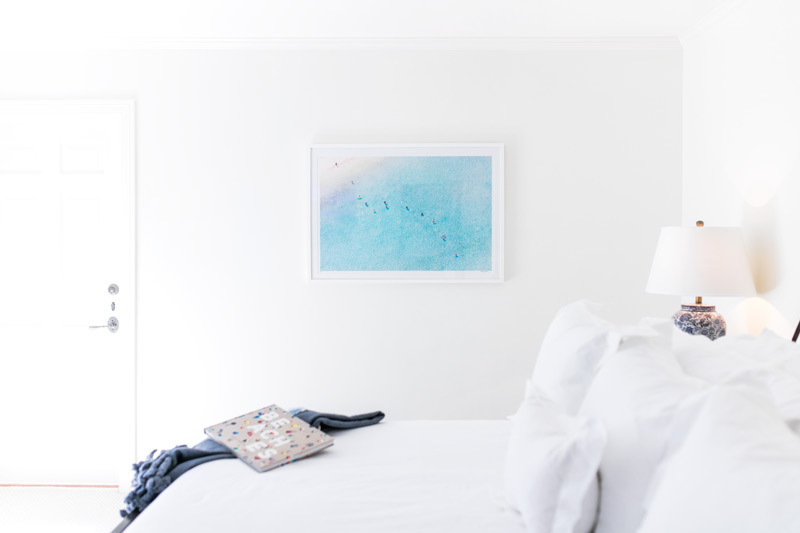 I really love the idea of waking up to Bora Bora, so I was especially excited that Amy chose to use this print in their bedroom. The colors are perfectly suited for some peaceful rest. I also can't get enough of that pic of Harry! As I mentioned, Amy's been an early supporter, so it's also cool to see how she has decorated with her pieces she's collected over the years in their new home. "I became a fan of Gray’s work almost 5 years ago. I’ve always connected with his work because one of my favorite things to do is travel and explore. This is a little off subject but if I could have one superpower it would be to fly. Gray comes as close to that as possible with his aerial work by capturing adventures and places from the angle that I could only ever dream of, the sky. Gray’s work takes you to the most beautiful places around the world and showcases the views that until now only the birds have been able to enjoy." 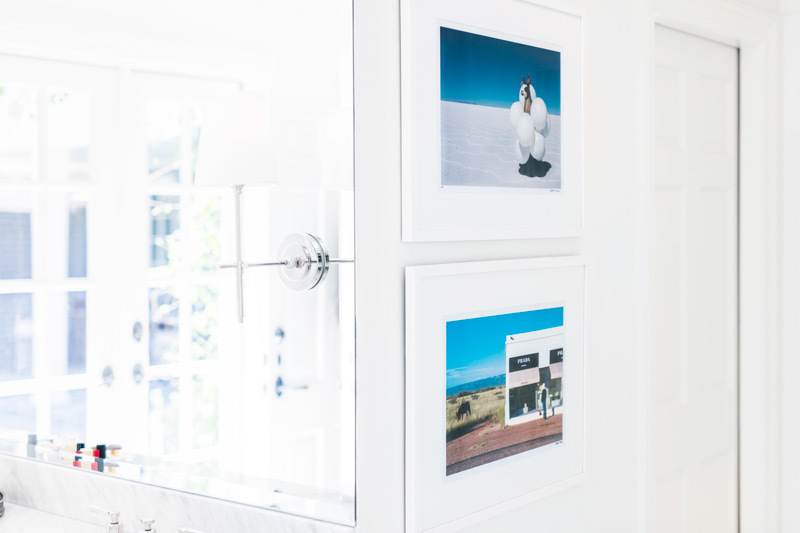 Hallways need pops of art, too. Llamas White Balloons from Far Far Away, top. // Print from Prada Marfa, bottom. - Similar here. Then, St. Tropez Blue Umbrellas (Vertical) below. Love love love it all! 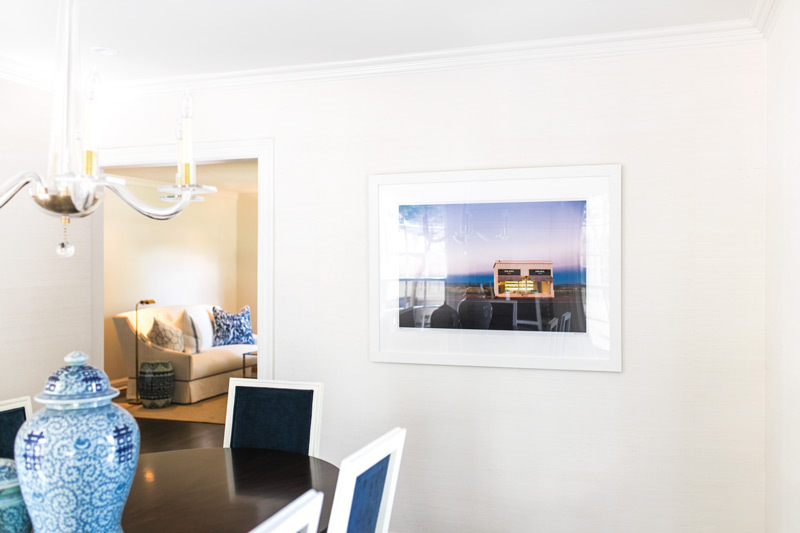 Thank you Amy so much for letting us all tour the new home and see how you have decorated with your new Bora Bora beach aerial prints as well as how your previous collection has become new, again in your new space! Now, that's something to cheers to!